What was been buzzing around for a while has turned out to be true now, and Sukhoi Aviation Holding Company (JSC) has now officially has responded to Request for Information (RFI) send by India for the supply of 114 units of fighter aircraft tender which many describe as MMRCA 2.0 and is offering its new Su-35. RFI issued on 6th April 2018 initially received responses from the usual Six OEMs. 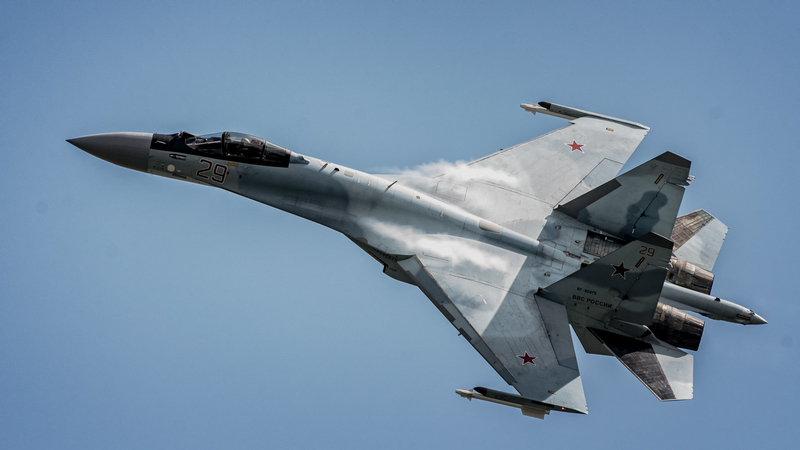 Airbus with its Eurofighter Typhoon, Boeing with its F/A-18 Super hornet Block III, Dassault with its Rafale, Lockheed Martin with its F-16 Block 70, Saab with Gripen E and RAC with Mig-35, Sukhoi offer of its Su-35 makes it Seventh offer received by Air Headquarters. Sukhoi allowed to join the fighter tender race amid reports of HAL’s proposal for more 40-60 proposal for more Su-30MKIs in addition to the 222 being built at its Nashik Division brings an interesting dimension to the whole tender process, since IAF for a while was against procurement of more Su-30MKIs and wanted Sukhoi Company to stay away from tender process and had even refused to allow them in past to participate in previous (MMRCA) tender and had not allowed them to even send a proposal let alone bid for the program. After scrutiny and formalization, next step will be to issue a Request for Proposal (RPF) to the shortlisted candidates which are likely to take place after national elections which are slated for early 2019. IAF has underlined the commitments OEMs who are participating in the current tender process have to make in support of the development of indigenous Advanced Medium Combat Aircraft (AMCA) which is billed as the successor to LCA-Tejas and will replace a large fleet of legacy jets which are planned to be phased out by mid-2030s.